Of the thousand plant species found on the mine and industrial site, 230 are on the red lists maintained by the International Union for Conservation of Nature (IUCN) or the North Province. Koniambo Nickel has therefore carried out rehabilitation initiatives designed to regain gradually the original biodiversity in the maquis areas disturbed by its activities while protecting the threatened species and by introducing erosion control measures. Koniambo Nickel thus maintains protected areas in order to preserve the zones deemed most valuable from a biodiversity viewpoint and it is introducing specific strategies to protect each of the micro-endemic animal and plant species known to exist on the site and on the massif. Koniambo Nickel has rehabilitated 50 hectares of indigenous vegetation affected by the construction work. 35,000 seedlings will be planted in 2014, and it is expected that rehabilitation efforts will be ongoing until 2017, with an overall goal of 300,000 seedlings planted. Every year, the seeds in our nursery produce over 100,000 plants that will eventually be replanted. Biodiversity monitoring is being carried out for the entire site to measure the impact of harmful species (deer, ants, rats, pigs, invasive plants, etc.) and the quality of ecosystems. Based on the findings, we are establishing protected areas (760 ha to date) and introducing management measures adapted to certain sensitive species, like the Araucarias or the Tahiti petrel. Building a port on Vavouto Bay was not without its consequences on the marine environment. To limit the port’s environmental footprint and to compensate its effects, various measures were taken by Koniambo Nickel with the approval of the local communities. The dredging of the 4.5-kilometre channel providing access to the port was preceded by large-scale studies and the taking of precautionary measures. For example, in 2008, before dredging work began, Koniambo Nickel transplanted 2,100 colonies of coral taken from the affected area. 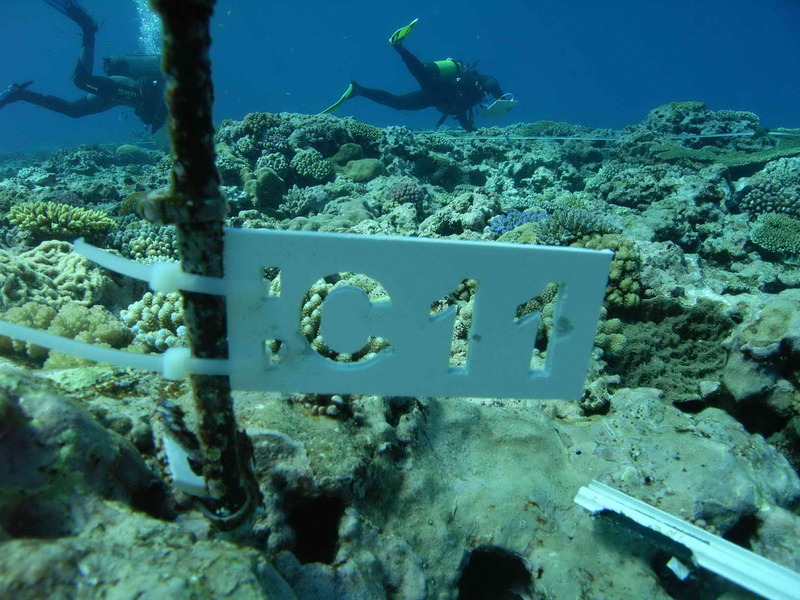 The coral was moved and propagated at two sites alongside the Duroc Passage. Some 128 permanently supervised marine monitoring stations have been installed. These stations are used to control water quality and sedimentation, and to monitor the health of the flora (plants) and wildlife (e.g. fish, coral) in Vavouto’s lagoon environment. In addition, 4.7 hectares of the mangrove were disturbed by the construction of the port and its access. With help from the local communities, a five-year program has been established for replanting mangrove shrubs of an area of 5 hectares, that is superior in size than the one affected by the construction of the port infrastructures and its access. This rehabilitation program will run for four years and linkup with the three pillars of sustainable development, namely compensation for a mangrove ecosystem, creation of a local company to carry out our project, and technical training of young Wahnidjane recruits by Koniambo Nickel so they can monitor and manage the mangrove rehabilitation effort. Lastly, Koniambo Nickel has instituted a complete set of measures for surface-water management in order to limit the impact of sediment entering the lagoon. Koniambo Nickel has set up four air-quality monitoring stations. They are on the industrial site and in the communities around the site. They were first used to collect benchmark data prior to the plant's production start-up and the commissioning of its related infrastructures, such as the Power Station. This monitoring is now being extended to take place directly at the source of atmospheric emissions, inside the facilities themselves, where online monitoring takes place alongside our daily stack sampling. This comprehensive monitoring network provides Koniambo Nickel with an accurate, overall view of air quality. For several years already, Koniambo Nickel has been acquiring knowledge and experience with the waterways surrounding the Koniambo Massif. These waterways are being monitored so we can observe and evaluate changes in their flow rates throughout the year, as well as to assess their quality during heavy rain events. Limiting erosion and maximizing the recuperation of water is a constant challenge on the Massif. A water channeling process was developed to counter the negative effects of dirty and polluted rainwater rejection in surrounding creeks, streams and lagoons. The Koniambo Environmental Committee (KEC) is a first: it is an independent committee yet is a totally integrated participant in the monitoring of Koniambo Nickel's inherent environmental issues. The KEC was established when the North Province and Koniambo Nickel signed an Environmental Charter for the Koniambo Project on 14 February 2007. The KEC has 18 members representing the institutions (France, New Caledonia, the North Province, the communes in the VKP zone), civil society representatives (environmental and Customary associations), the consular offices and Koniambo Nickel. The committee makes regular visits to the site and the massif to better identify all the environmental concerns linked to Koniambo Nickel's activities. It ranks as one of the most arduous aspects of the construction of Koniambo Nickel’s facilities: preparing for mining activity while preventing slope failures (rock slides, rock falls) and other ravages on the massif where the slopes are sometimes as steep as 27%. The earthworks began at the foot of the mountain, with the creation of sediment control structures (sedimentation ponds, embankments, riprap fills, spillways, etc.) sized to match the hydrological measurements (runoff and rainfall intensity-duration-frequency values), and adapted to sediment grain size and geotechnical data. Areas affected by the earthworks (for mine access roads and the conveyor, in particular) have been revegetated, because vegetation continues to be the best protection against erosion and dust. Koniambo Nickel has taken special precautions to ensure the proper handling and management of the waste generated on its site during the Operations phase. Various types of waste are produced by the site’s various activities (hazardous industrial waste, non-hazardous industrial waste and inert waste), and their management must comply with the regulations and other applicable standards to ensure minimal risk to the environment and public health. Our management plan covers all our waste-related activities, including production, storage, transit, transportation, processing, recycling and elimination of waste. Most of our waste management activity has to do with identifying and characterising waste, for which we have two main categories: hazardous waste and non-hazardous waste. Waste containers (dumpsters, bins, garbage cans, holding cells, etc.) have been set up all around the site and are clearly identified to facilitate later sorting into subcategories, one for each of the existing types of waste handling and waste eliminating pathways in New Caledonia. We are encouraging everyone to sort their waste correctly to foster potential opportunities for adding value to waste or processing it. Reuse a product or material with little or no processing. Recycle or reclaim manufacturing by-products: process the waste to produce an identical or different material that can be used. Recover or collect or sort waste with a view to adding value to its component parts and materials. Dispose of waste: that is called ultimate waste because it could not be reduced, reused or recycled or recovered. At this point, several options are conceivable: on-site impoundment and management, municipal landfills, or certified third-party waste storage facilities (classified by type of waste). Koniambo Nickel has defined its waste collection, storage and handling procedures, which are to be followed to ensure optimal management. Koniambo Nickel’s Metallurgical Plant uses the NST or Nickel Smelting Technology process. Developed and patented by Falconbridge Ltd., this improved technology was borne out of the collective experience of many metallurgical operations around the world. The goal? To profit from an energy-efficient ferronickel production process with a smaller environmental footprint. As is the case with the metallurgical plants operated by Le Nickel-SLN in Doniambo, New Caledonia, and by the Société du nickel de Nouvelle-Calédonie and Corée in Gwangyang, Korea, our plant in Vavouto calcines nickel-bearing ore, liquefies the resulting metal oxide solids in an electric furnace to separate the metal from them, then refines the resulting ferronickel by eliminating its sulphur content. 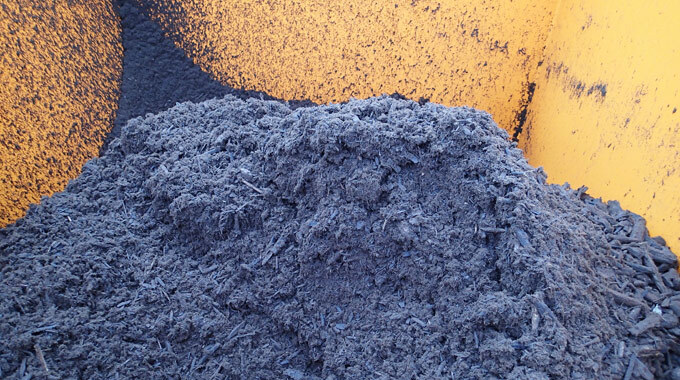 Koniambo Nickel’s NST process solves a large number of problems encountered with the conventional processes. It does not need a rotary furnace to smelt metal. The Koniambo Environmental Committee brings together all the stakeholders concerned by Koniambo Nickel and its industrial operations. Koniambo Nickel is embedding a genuine performance culture in order to achieve its objectives as efficiently as possible. Our commitment is clear: respect for the environment informs all our actions.